Carpal Tunnel Syndrome is the most common nerve compressive disorder of the upper extremity. It is common to both genders and affects adults of almost any age. The condition often presents with numbness and tingling of the fingers, more frequent in the evening hours or with wrist extending activities such as holding a book. Carpal Tunnel Syndrome develops as a result of compression of the Median Nerve as it passes through the Carpal Tunnel at the wrist. Compression arises due to the swelling of neighboring structures. The disorder is diagnosed by history, physical exam and through EMG testing. Treatment depends on the severity of nerve injury. Dr. Steven Shoen treats mild cases with splinting, education of hand positioning and a steroid injection. Carpal Tunnel Exercises, B Complex Vitamins, and use of the Cold Laser have also been used to treat mild Carpal Tunnel Syndrome with varying success. In more advanced cases a minor surgical procedure is performed in which the Carpal Tunnel is released, decompressing the Median Nerve. Dr Shoen performs Carpal Tunnel Release with a “Short Scar Approach”. What is Dr. Shoen’s Short Scar Approach to Carpal Tunnel Release? Dr. Shoen typically performs Carpal Tunnel Release under local anesthesia with sedation. He designs the incision site so that the resulting scar is only several centimeters long. The scar is hidden at a natural palm crease, where in most cases, it becomes difficult to find. Following surgery patients may resume light activities immediately, and strenuous tasks after three weeks. Within a few days of surgery Dr Shoen encourages patients to move their fingers and perform light tasks such as computer work. Pain is moderate for a few days following the procedure. All splinting is discontinued after two weeks. Like the Endoscopic Carpal Tunnel approach Dr. Shoen’s Short Scar Technique yields minimal scarring and early return to full hand function.The entire procedure takes about a half an hour to perform, and is carried out at a local, fully accredited surgery center. Surgical and anesthesia risks are kept to a minimum. 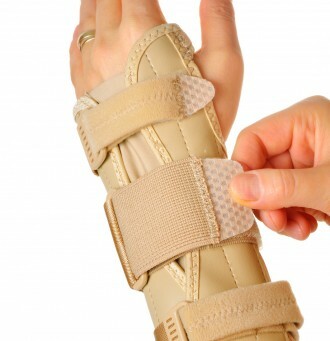 When needed, Carpal Tunnel Release is a very gratifying procedure for patients. Put an end to sleepless nights, as well as worsening upper extremity pain and numbness. Contact our office at 732-632-6090 for an appointment at one of our two office locations ( Edison area and Monroe ).